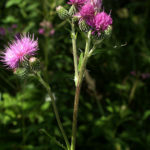 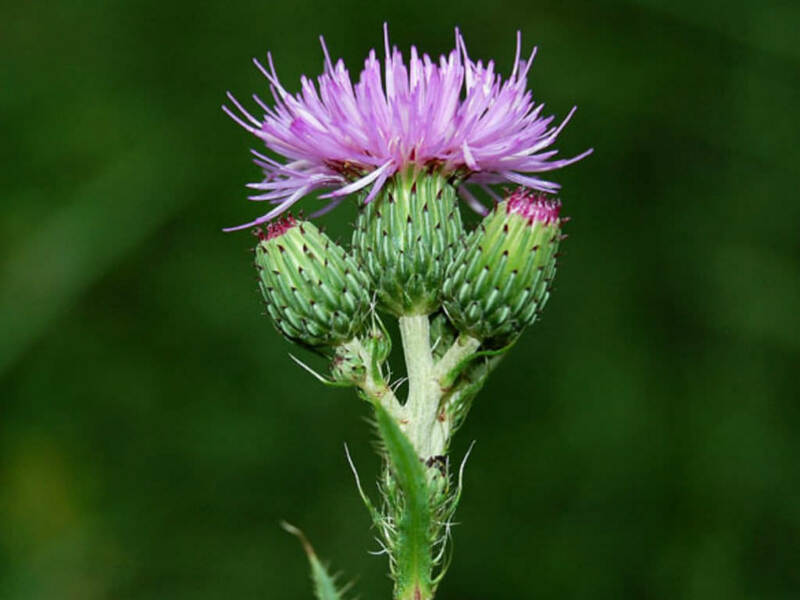 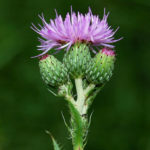 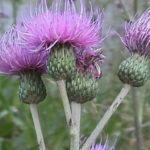 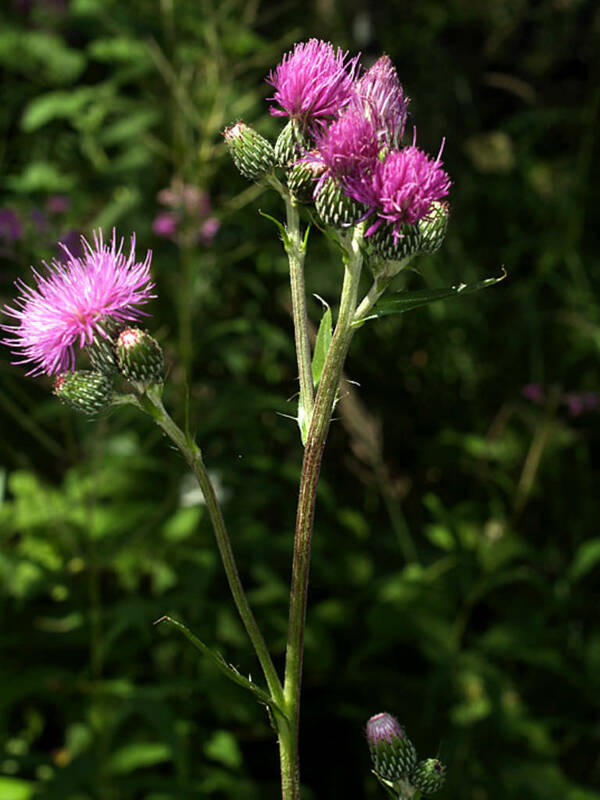 Cirsium monspessulanum is an erect, perennial herbaceous plant, up to 5 feet (1.5 m) tall. 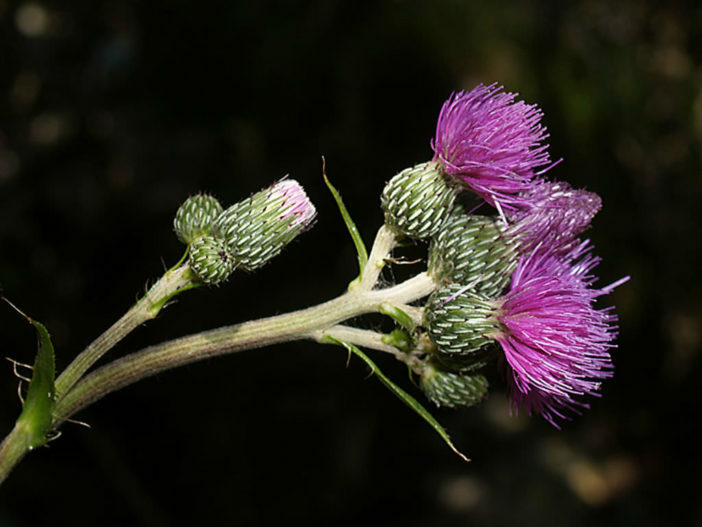 The leaves are green, lance-shaped with spiny edges. 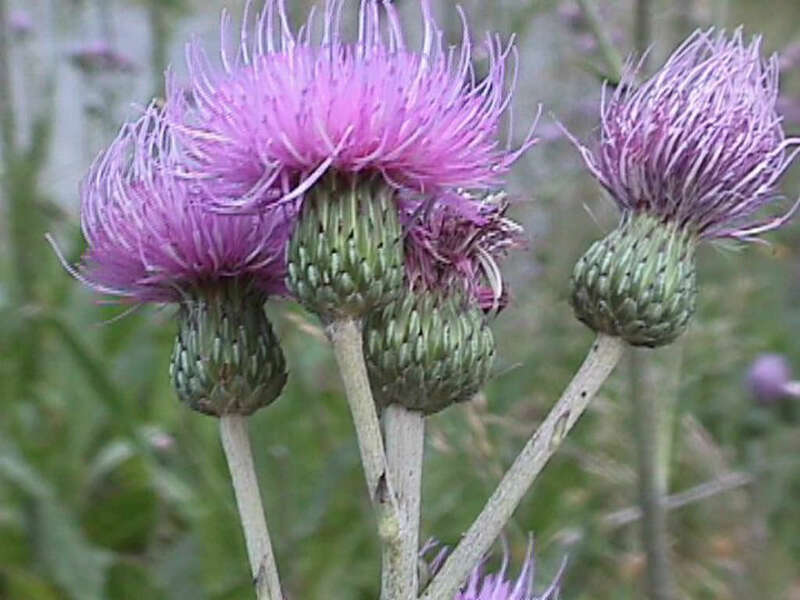 The flowers are purplish and bloom in June to August.